Dillon Lane Reed, 29, Nevada, MO passed away on Thursday, November 22, 2018 in Leavenworth, KS. Dillon, known as “Pickle” by many of his friends, was a likeable, outgoing young man who was loved by his family and many friends. Dillon was born June 18, 1989 in Nevada to Rusty and Julie (Gammon). He is survived by his mother, Julie Reed, Nevada; his father and step-mother, Rusty and Rita Reed, Nevada; one brother, Cody Reed, Nevada; his maternal grandparents, Betty Gammon, Nevada, and Leo Gammon, Walker; numerous aunts, uncles and cousins. He was preceded in death by his paternal grandparents, Ralph and Wilma Reed, Metz; and several close friends. As a young man, Dillon enjoyed skateboarding and was instrumental in getting the local skate park in Nevada. He played Center for the Nevada Raiders in Nevada Little League Football, and was active in 4-H. Dillon attended Nevada School and later received his GED. He enjoyed farming, horseback riding, swimming, and spending time with friends and family. Dillon successfully completed Building Trades, Modern Cabinetry and Construction. He graduated from Nevada Welding Institute and was an Assistant Instructor of Basic Welding at WMCC. He was currently studying Spanish. Dillon attended Sunday and Wednesday evening church services. Funeral services will be held at 11:00 a.m. on Friday, November 30, 2018 at Ferry Funeral Home in Nevada with Mark Mitchell officiating. Interment will follow in Moore Cemetery, Nevada. The family will receive friends from 6-7:00 p.m. on Thursday evening at the funeral home. 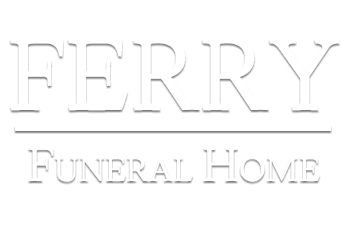 In lieu of flowers memorials are suggested to the MS Foundation in c/o Ferry Funeral Home.